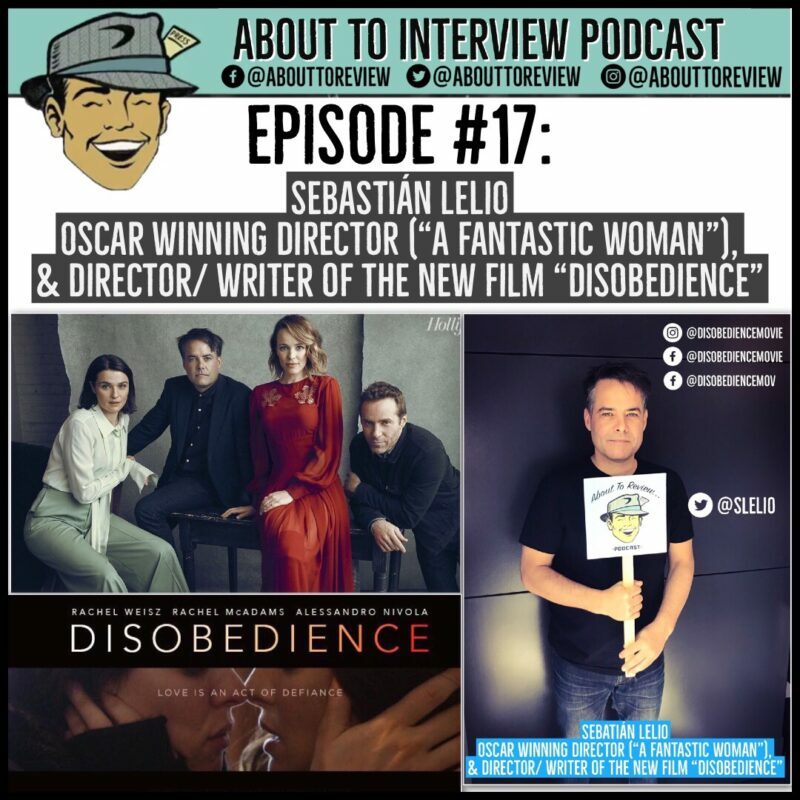 This episode of the “About To Review”/ “About To Interview” podcast was recorded during the 2018 Seattle International Film Festival (SIFF) and features Oscar Winner Sebastian Lelio discussing his new film “Disobedience”. “Disobedience” (IMDB.com/Disobedience) stars Rachel Weisz, Rachel McAdams, and Allesandro Nivola and focuses on a woman who returns to the community that shunned her for her attraction to a childhood friend. Once back, their passions reignite as they explore the boundaries of faith and sexuality. My conversation with Sebastian ranged from his incredible cinematography choices to how his adaptability has shaped his film making career. “Seattle International Film Festival” or “SIFF” (www.SIFF.net) runs from May 17th – June 10th and features more than 400 films from 90 countries and boasts an astonishing 145,000+ attendees! The largest and most highly-attended film festival in the United States, now in its 44th year. Thank you so much to Sebastian Lelio for making the time during his press tour to talk with me about his new film!